Ace was hit by a car. The vet knew he had a crooked front paw and issue with his back hip, but shared that wasn’t his biggest problem. Ace had a heart defect. 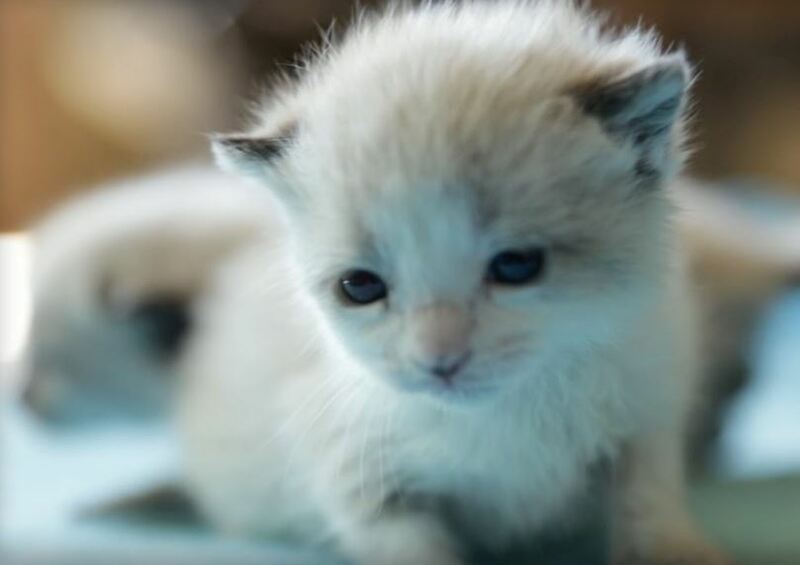 The three children heard high-pitched crying coming from the bushes and, upon checking, found four tiny kittens, seemingly alone and abandoned. Meet Paris and Mocha, Siamese kitten bottle babies rescued from a high kill shelter where they faced euthanization. Rocket almost didn’t have a chance at a new life. 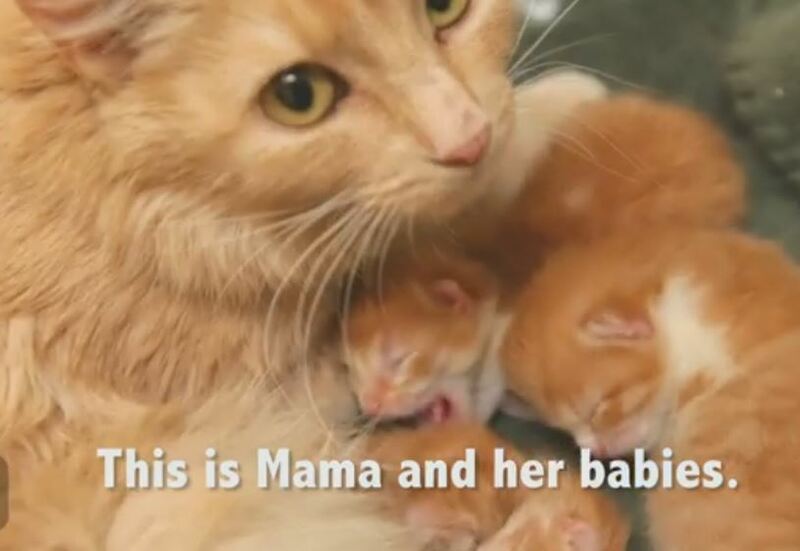 Mama was a pregnant stray who panicked and ran to a loading dock, where she had her kittens before the little family was rescued. 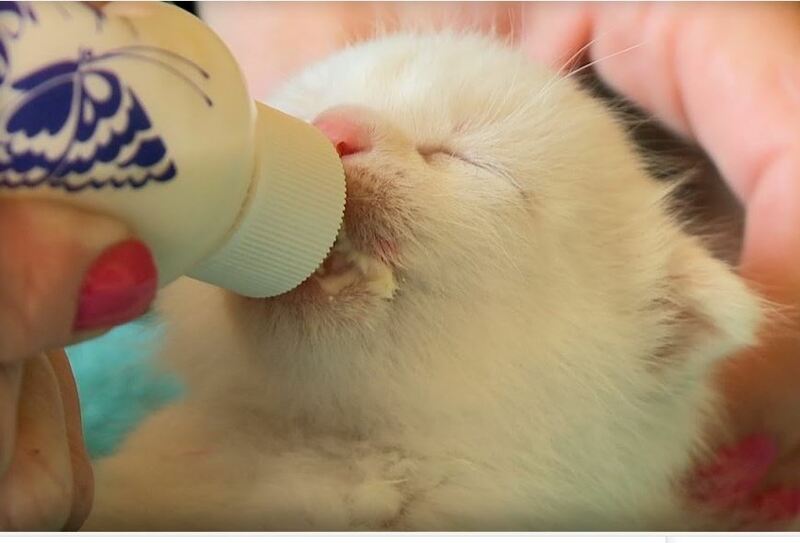 Rescued kitten Chloe is now 4 weeks old. See how she’s doing! 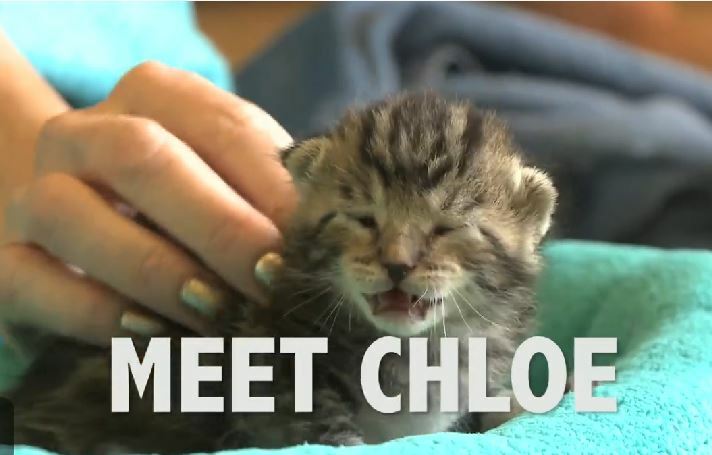 Take a minute to watch this touching story about 8 day old Chloe the kitten, whose life was saved by a rescue group just in the nick of time. 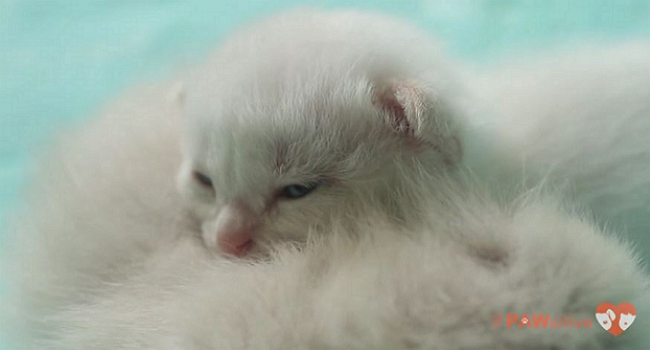 Even after losing all of her kittens, Mickey loves again and adopts a motherless litter.